An accurate diagnosis starts with an accurate tracing. 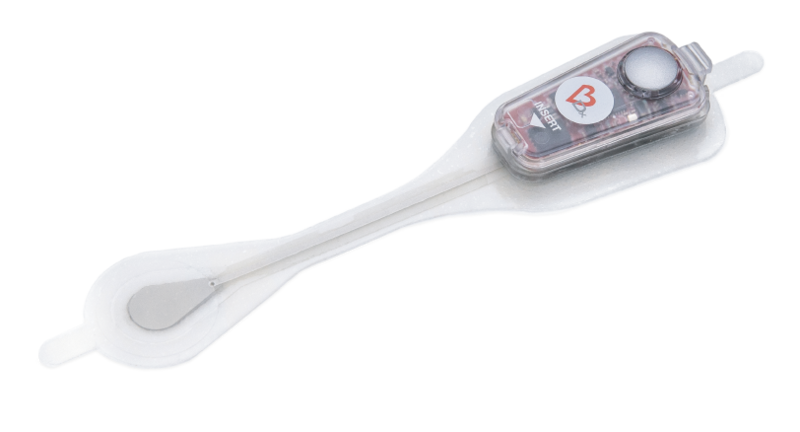 The Carnation Ambulatory Monitor (CAM™) is a lightweight, extended-wear ECG patch monitor that delivers unparalleled comfort, convenience, and clarity. The future in arrhythmia diagnostics has arrived. Developed on the principle that non-invasive cardiac monitoring should provide an excellent quality atrial signal, the CAM is designed to be placed along the sternum—over the heart— to optimize P-wave signal capture. The result is improved ECG resolution, providing more information about the heart rhythm which may lead to more clinically actionable diagnoses. CAM is supported by BDxCONNECT, a versatile patient management portal that adapts to meet the unique needs of your practice or institution. Upload patient data to the cloud and perform your own scanning and analysis using a secure, web-based ECG analysis module or rely on our expert ECG technicians to deliver reports. 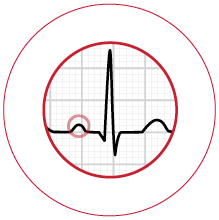 Superior P-wave resolution aids the physician in diagnosis of specific arrhythmia and improves clinical decision making.